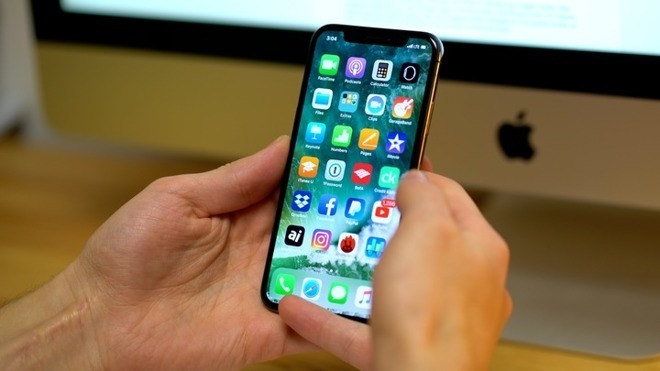 Apple is predicted to launch two versions of a rumored 6.1-inch LCD iPhone later this year, one with a starting price as low as $550 and another potentially outfitted with dual-SIM dual standby (DSDS) technology, according to KGI analyst Ming-Chi Kuo. In a note to investors seen by AppleInsider, Kuo says Apple may be planning a DSDS-capable LCD iPhone with two physical SIM card slots and no eSIM support. A second LCD variant will be outfitted with a traditional single-SIM arrangement and could sell for between $550 and $650, much lower than initial estimates of $700 to $800 aired in January. Based on the new bottom-tier pricing, a DSDS model might cost between $650 to $750, the analyst says. DSDS is also expected to show up in a rumored 6.5-inch OLED iPhone positioned at the top of Apple's 2018 lineup. Interestingly, the analyst believes the company's smallest-screened offering, a revamp of iPhone X with 5.8-inch OLED panel, will not include a dual-SIM option. DSDS technology provides a number of benefits to end users, the most obvious being the ability to travel across borders or coverage zones without swapping SIM cards. This is a key consideration for users in China who often jump cellular providers between provinces. Dual-SIM configurations are also attractive to businesses that manage their own mobile device deployments. Kuo in February said DSDS would arrive on iPhone thanks to next-generation Intel baseband chips. At the time, the analyst said he expects Apple to rely solely on Intel silicon to power iPhone's communications suite in 2018, ditching longtime modem supplier Qualcomm. Mass production of the 6.1-inch LCD iPhone is estimated to begin some three to five weeks after Apple's rumored OLED versions, due in part to the last-minute addition of DSDS. Reports earlier this week claim OLED panel production will start in May, with assembly to follow shortly thereafter. With a low price point and optional DSDS capability, Kuo believes the 6.1-inch iPhone is shaping up to be Apple's most popular 2018 iPhone. Apple is expected to launch three iPhone models this fall. Anchored by the 6.1-inch LCD version, the lineup is said to include two OLED models in a 5.8-inch "iPhone X 2" and larger 6.5-inch "iPhone X Plus." Reports suggest Apple is looking to retain high margins by integrating mature hardware in the bottom rung iPhone, from less expensive LCD screens to Touch ID biometrics. This year's top-tier OLED models are expected to carry over the more complex — and expensive — TrueDepth camera that powers Face ID on iPhone X. The 6.5-inch variant will undoubtedly be the most expensive offering, but should attract early adopters with the usual assortment of cutting edge technology befitting a flagship device. If Kuo's pricing estimates are correct, the "low end" LCD iPhone could be a huge hit with upgraders and Android switchers. Kuo sees a downside risk for the 5.8-inch OLED iPhone, saying Apple could have trouble selling customers on a smaller-screened, more expensive device that lacks DSDS.